Indaba Sauvignon Blanc and Merlot selected as the latest pours for the reputable in-flight wine program. JetBlue Airways and their “Low-Fare Sommelier” Joshua Wesson, co-founder of Best Cellars Inc., have chosen Indaba Sauvignon Blanc and Merlot as the latest selection of pours for the low-cost carrier’s in-flight wine program. Beginning January 1, 2011 Sauvignon Blanc 2010 and Merlot 2010 from Indaba, among the largest South African wine brands in the US, will be available for purchase. 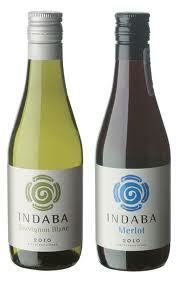 The placement makes Indaba the first wine label from South Africa to be offered onboard the US airline.